Don’t shy away from big sofas or sectionals because of your limited square footage. Often several small pieces can make a room appear smaller and more cluttered. 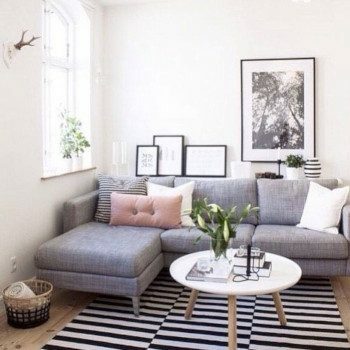 A beautiful comfy sofa brings on style and comfort. Bookcases take up too much space. 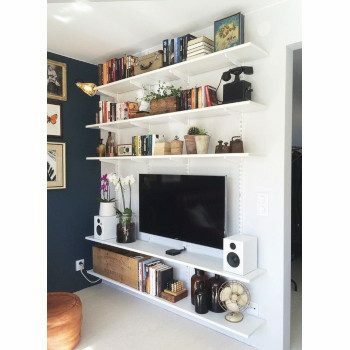 Try wall mounted shelves, they do the same exact thing as a bookcase, without taking up any floor space. Wall mounted shelves are also more versatile in design and can be mounted on top of other furniture, like a desk , sofa, or TV. A small space does not mean a small rug. Too small of a rug visually disrupts the floor space, making your room appear smaller than it naturally is. A large rug anchors the furniture and creates a cohesive flow throughout the room. 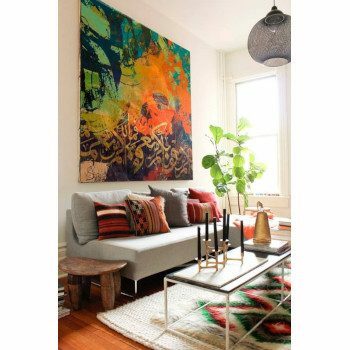 Just like how a small rug breaks up the floor space, small artwork can do the same to the wall. Hanging small artwork on the wall can make a room feel more tiny and often groups of small pieces can look messy. 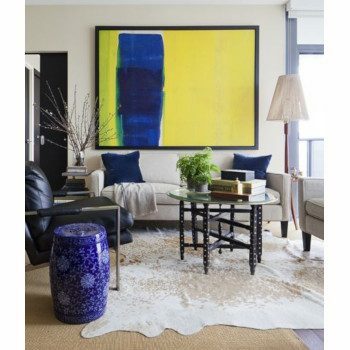 Think about proportion and try one large art piece on the wall. It will make a huge impact in your small space. Stay away from heavy and bulky furniture because they can weigh down a small room and also darken a small space. 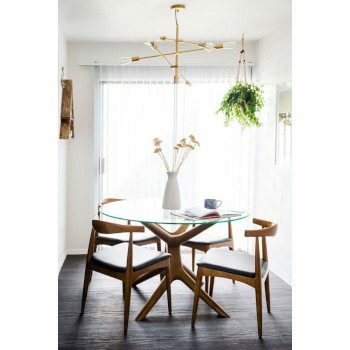 Consider a glass table top for your dining room table or an acrylic coffee table or chairs. 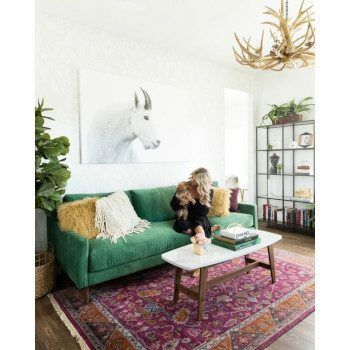 At least one big piece with a glass surface, like a dining table, coffee table, or sofa table can help lighten up the room while showcasing your beautiful floor or statement rug.